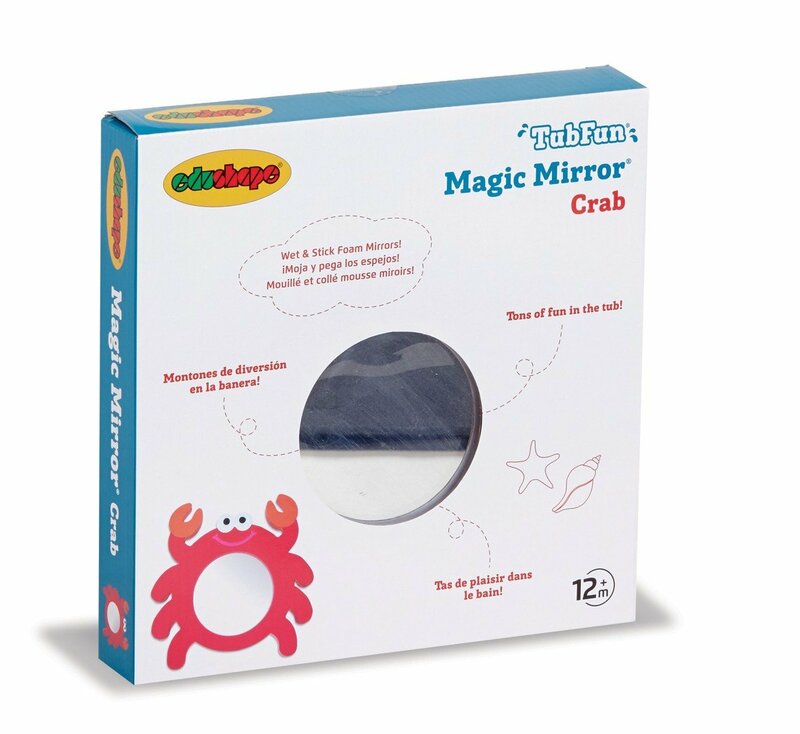 Children will love admiring themselves in this super cute Magic Mirror Crab character bath toy! 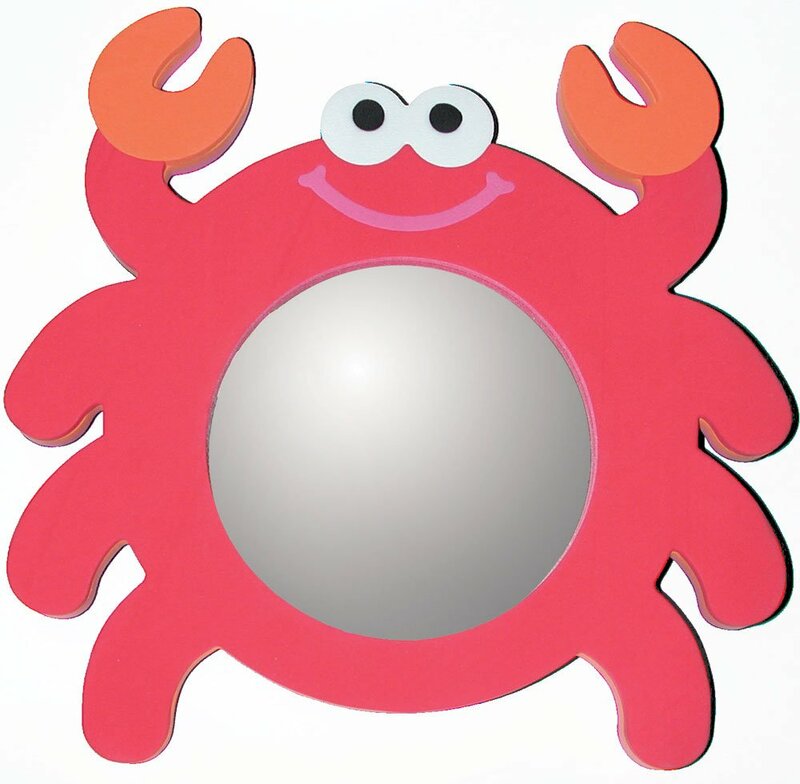 Brightly coloured and especially designed for water play, this mirror will stick to any smooth, flat surface when wet! 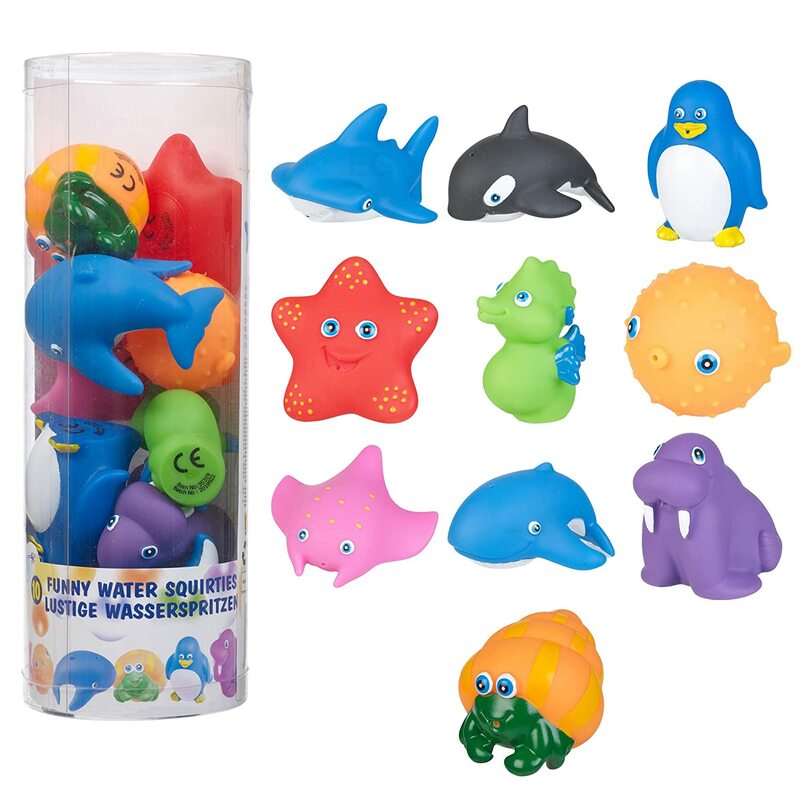 Made from unique Edu-foam, which is extraordinarily resistant to mould and mildew and will not absorb water or change shape, ensuring lots of long lasting developmental fun. NOT SAFE TO CHEW! BITS OF THE FOAM CAME OFF when my granddaughter chewed it! This was her first play with it! UNSAFE TOY for 12 months plus be warned. I threw it IN THE BIN.There are lots of reviews on here saying it's ok to chew, but it isn't! 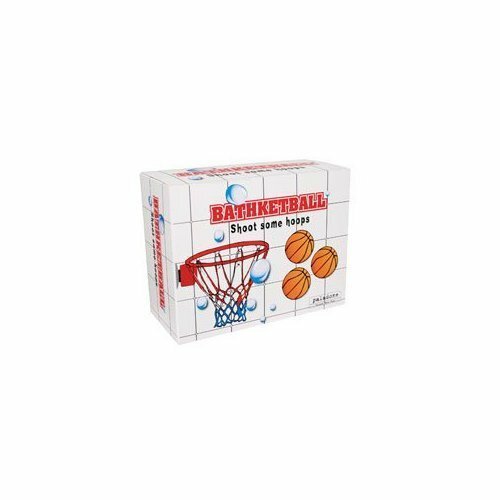 DON'T BUY THIS TOY. 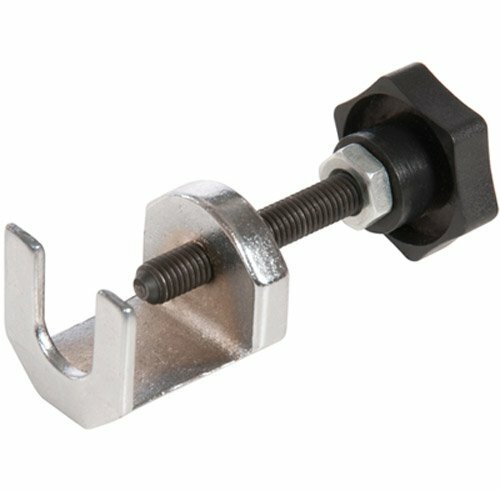 Very flimsy and expensive for what it is. 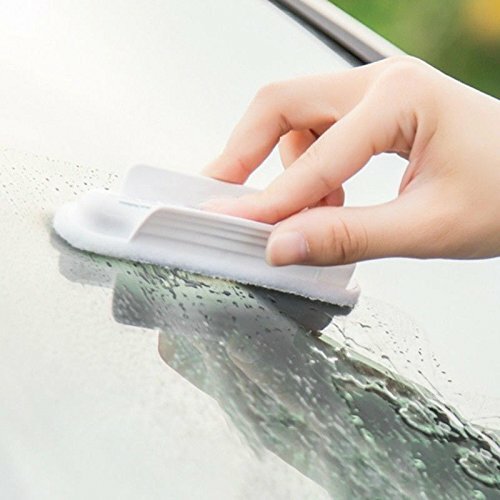 Doesn't stick to tiles or shower glass or side of bath. If I could give zero stars I would. Also saw similar ones in Sainsbury's for u00a31.99. Very disappointed. 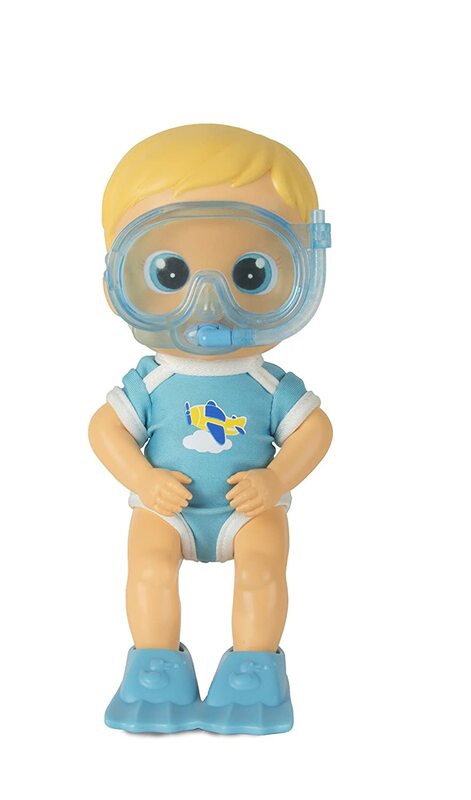 Among all the bath toys my 8 months old has (and he has lots) this is by far his favourite. He loves looking at himself while in the bath and he is very entertained while trying to chew it. Maybe a bit pricey, but so happy I bought it. 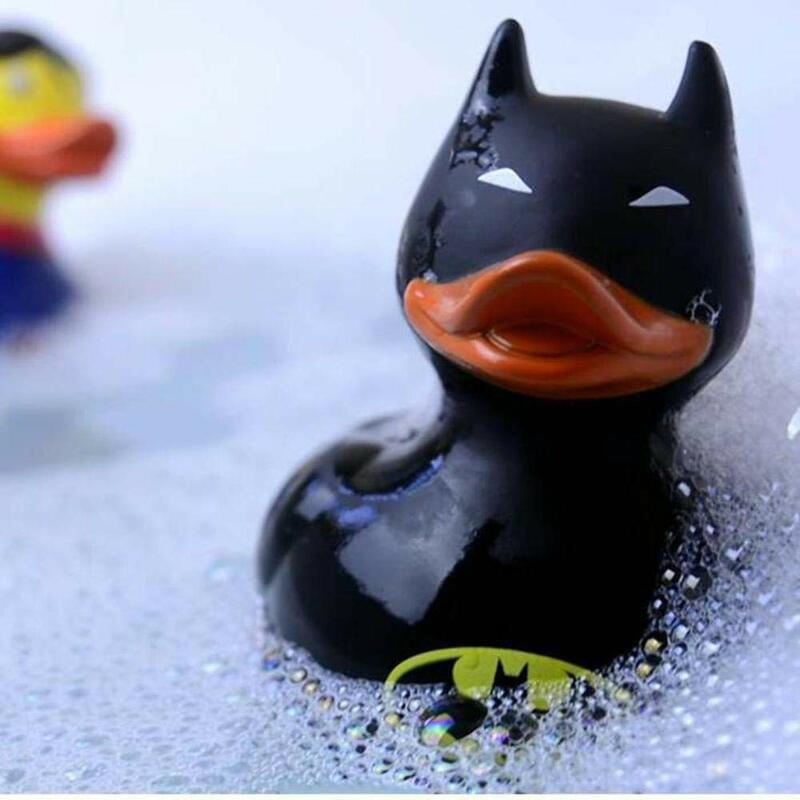 Hands down this has been our 1 year old daughters favourite bath toy. The shape and size is just right for her to handle, it is colourful, fun and the mirror means that she can looks at herself and us whilst laughing. 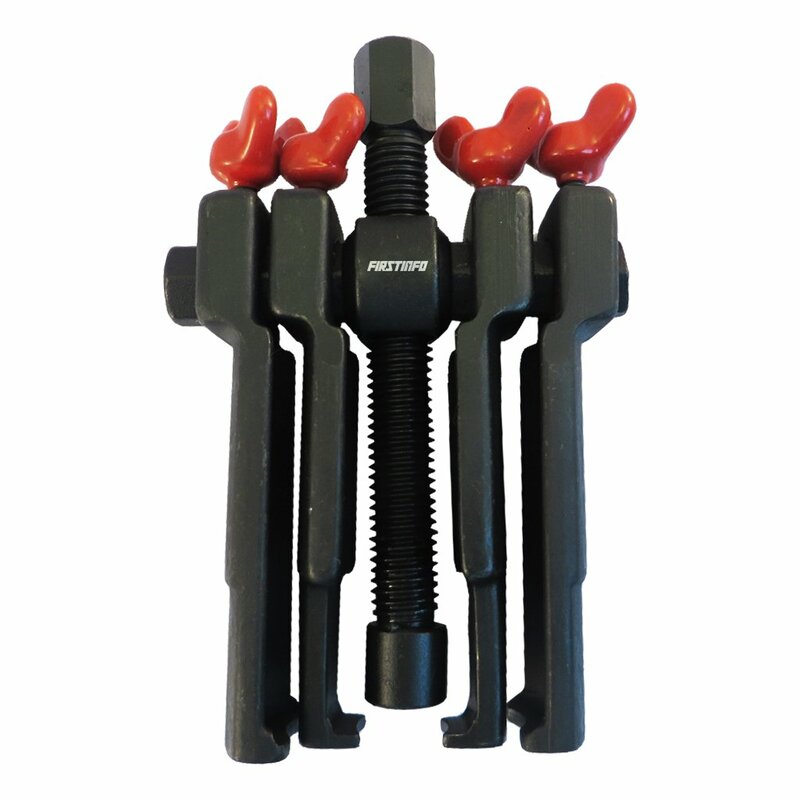 It's made of a foam material which makes it easy to grip. Would recommend in a heartbeat. Beatiful addition to my 3 months old boy toys. since I've shown it to him he is so interested in his reflection. He can spend a quiet long time just staring at it. I love the idea we can play with it in a bath after he will become older. Highly recommend! My son loves this mirror both in and out of the bath. It's ideal for him getting used to his own identity as an individual, and even better for giving himself kisses. It's made primarily of foam, so he could drop it on himself, bang his head against it or do anything he wanted and it won't hurt him. Lots of fun. My baby daughter loves this. It sticks to the bath so she can see herself. She also likes to teeth on it. She also likes to try and catch the water if I pour it onto the mirror whilst it floats ontop of the surface. Nice idea. Arrived quickly & still never seen in the shops. I doubted whether it was worth the price when I bought at Christmas but 9 months later, it's still a winner. So happy. used this for over 1yr. son loves its lasted really well.